When it comes to your crop insurance, you don’t want to fall short when it comes to risk management. At ProAg Service & Insurance, we tailor a risk management strategy for our customers using MPCI crop insurance, crop hail insurance, and other private products offered by our affiliated insurance companies. 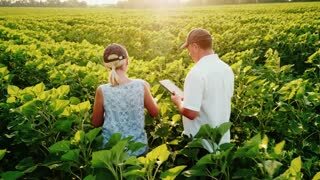 We believe that having the latest information at your fingertips matters, which is why we provide current agricultural details such as government programs, agronomic information, and daily market updates that are pertinent to your long term success. The recent addition of options such as Trend Adjustment and Yield Exclusion has given producers some nice tools to help their APH reflect the yields they are currently capable of producing. The majority of the time these options benefit a producer and are cost effective – but not always – understanding how these options work together and using them in a manner that provides you with the most cost effective option is always our goal. Trying to find the right insurance plan and level to meet your needs? ProAg will provide you with an insurance plan that is based on your crop plan and APH History that will help you compare different products and levels of insurance as well as help in your marketing decisions. Our Agents will also work to find you the most competitive crop hail rates in the county making sure you have the added protection where needed. To better track your farming operation, ProAg offers GPS mapping of fields. Having accurate farm maps can potentially save you money as well as making reporting fast and easy with less chance of error. For a better look at our mapping services, please view the Mapping Menu for all mapping options available. Commodity prices and yield losses are often identified as a producer’s greatest risk. At ProAg we understand the need for not only protecting you against production losses, but also the losses due to commodity price fluctuations. We not only offer the revenue insurance products, but a service to help you effectively utilize those products. ProAg has partnered with The Money Farm for our producer’s grain marketing needs. Farming is a complicated business and understanding new farm programs and how they fit into your operation can be a challenge. We work with our producers to help them understand the programs and their options. In 2014 we helped producers look at base acre reallocation, updating of their FSA yields and understand the options in choosing between ARC and PLC. In 2015, we also worked with our multi-county producers to maximize their program payments when they were given the opportunity of selecting payments by their physical location versus admin county. Since the sign-up, we’ve provided up-to-date projections for current and subsequent farm program years to help budget and plan for the future. 2016 ARC Co Final Payments. There is no one right fit for crop insurance. It is important to analyze each individual operation to see which plan best serves your needs. A popular risk management tool that protects against yield & revenue loss. In the spring you will select a coverage level, which along with your Actual Production History (APH) and a projected crop price will set your minimum revenue guarantee. In the fall, a harvest price is established which will increase your guaranteed revenue if prices rise, or it will increase your guaranteed bushels if prices drop. A policy built with the idea of providing coverage to diverse operations under one umbrella. This plan will be customized for any farm with up to $8.5 million in insured revenue and may be a good option for highly diverse farms that are growing a wide range of commodities and/or livestock. Provides protection against yield losses. In the spring you will select a coverage level, which along with your Actual Production History (APH) and a projected crop price will set your yield guarantee. If your average yield per acre is less than your guarantee, you will receive a payment for the loss in yield. A pilot program that insures pasture, rangeland, or forage (PRF) acres. This policy is designed to protect you from the risks of forage loss due to a lack of precipitation. The program utilizes a rainfall index to determine precipitation for coverage purposes instead of using actual forage production history. The PRF insurance program can be a valuable tool to reduce the risk of unexpected or increasing feed costs. Similar to the Yield Protection plan, you will select a coverage level, which along with your Actual Production History (APH) and a projected crop price will set your yield guarantee. Unlike the Yield Protection & Revenue Protection plans, the price elections are established by the Risk Management Agency (RMA), instead of being based off of a Commodity Board of Trade. Instead of using Actual Production History to determine a loss, this policy will trigger a payment if the final county revenue is less than your elected county revenue guarantee. It is important to note that it is possible to have a loss on your farm, and not receive an indemnity if the county did not experience a loss. *Limited availability based on location. Let us help you find a plan that will compliment your existing MPCI coverage. Our Agents will work to find the most competitive rates per county for crop hail insurance. Producers find comfort in having additional protection from damage due to hail, wind or fire on their crops during the growing season. There are products available to insure your animals against declining market prices! Livestock Risk Protection is available for Feeder Cattle, Fed Cattle, Lamb, and Swine. You may choose from a variety of coverage levels and insurance periods that match the time your animals would normally be marketed. Premium rates, coverage levels, and actual ending values are posted online daily to reflect current market conditions. The Margin Protection (MP) policy provides you coverage against an unexpected decrease in your operating margin (expected margin = expected revenue – input costs). Margin Protection is AREA BASED, using COUNTY-LEVEL estimates of average revenue and input costs to establish the amount of coverage and indemnity. Because Margin Protection is area based and uses the average for the county, it may not necessarily reflect your individual experience. Your own operations yields and costs are not taken into account. Want to take advantage of our crop insurance services?